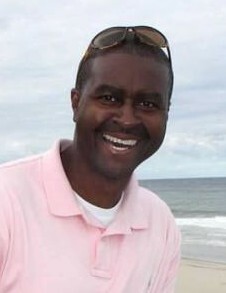 Mr. Kenneth L Page II, 47, of Charleston, SC, beloved husband of Mrs. Brenda Page, entered into eternal rest on Sunday, October 21, 2018. The relatives and friends of Mr. Kenneth L. Page, II are invited to attend his Funeral Service 10:00 AM, Monday, October 29, 2018 at Lovely Hill Missionary Baptist Church, 670 Bear Swamp Road, Johns Island, SC. Interment - Beaufort National Cemetery, Beaufort, SC. Visitation will be held Sunday, October 28, 2018 from 4:00 PM - 6:00 PM at the mortuary. Mr. Page is survived by his wife, Brenda E. Page; two children, Devon J. Page and Zaria S. Page; granddaughter, Lilith C. Page; parents, Kenneth L. Page, Sr. and Carolyn Wright Watson; sister, Lashondra Page; brother Trivelle Page; special first cousin, Henry "Tony" Wright; and a host of other relatives and friends. In lieu of flowers, please make contributions to the Zaria Page Trust; make checks payable to and mail contributions to Brenda Page, Trustee, 7408 Mercedes Way, Hanahan, SC 29410.